The TakeMe Speaker Lantern is a portable lantern and music player, great for creating the perfect mood. 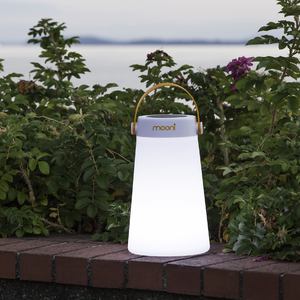 Connect via Bluetooth to play music or set the light with the included Mooni remote. The handle, made from flexible plastic, provides a good and stylish grip and makes it easy to bring with you.